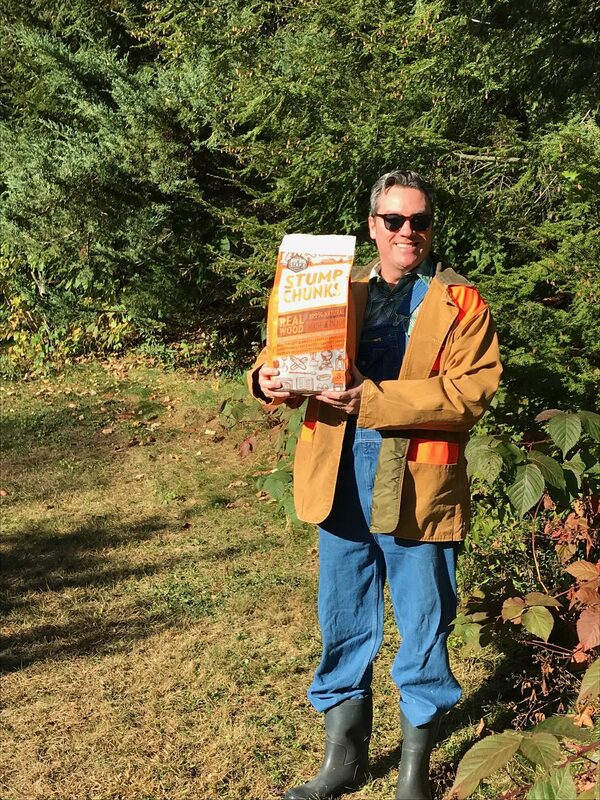 Stump Chunks – Kindling & Fire Starter is pleased to announce it’s August 2017 – Large Bag Contest Winner. Congratulations to John Beatty, from Woodbury, Connecticut ……………………… John told us, Having a 1765 Colonial home with three fireplaces was a lot of work when I needed to light those fires in a hurry. Then I discovered stump chunks! Since then, my family has enjoyed many hours in front of the fireplaces on cold New England nights. Lighting the fire places now is a joy and as easy as putting a handful of stump chucks in the fireplace with my wood and setting it alight. I recall one night after just buying the house where it was -9 degrees and getting our first fire lit was proving to be almost impossible because the wood had just been brought in from outside. I decided to use the bag of stump chunks that my chimney sweep recommended during his fireplace inspection and everything went right up. Since then, I make sure never to run out of stump chunks and I recommend this product to anyone that needs to light a fire indoors or out. Thanks stump chunks For a fantastic product that has never let my family down.